The first StarSeries event this year came to the conclusion after 9 days of intense CS:GO competition. 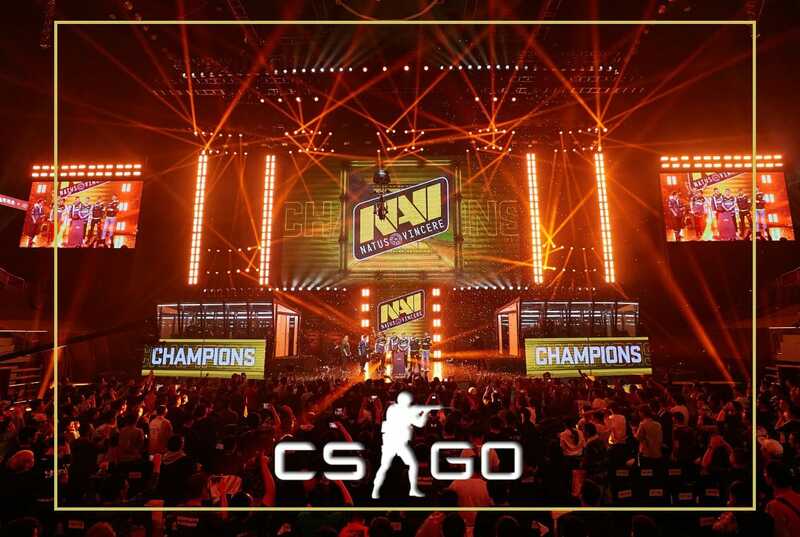 The best Ukrainian team, NaVi, defeated Fnatic in the Grand Final to lift their fourth StarSeries trophy and earn $250,000. In the Quarter-finals, Natus Vincere met their nemesis from Katowice, ENCE. The Finnish team stopped NaVi in the Semi-finals of the first Major, which was a big surprise back then. So, NaVi had a chance to get revenge in Shanghai. The first map was ENCE’s pick, Train. That is the best ENCE map and second-best NaVi map. So, the Ukrainians decided not to ban Train as they hoped they could steal a win there. Nevertheless, Allu and co. proved them wrong. Natus Vincere was leading 7-1 in the first half, but ENCE bounced back and eventually won the first map with an ending result of 16-11. Electronic had 30 frags, but it wasn’t sufficient to win the first leg. The teams then moved to Inferno. ENCE secured the first half setting the scoreline to 9-6. NaVi tied the score, but ENCE won the following two rounds and was so close to winning the third consecutive round. But, s1mple performed a magical 1v4 Ace clutch with his AWP, killing two opponents without using his scope. That was the match-saving play by s1mple that helped NaVi to get back in the match. The Ukrainians conceded only one more round to the end of the match, so the score in the second leg was 16-12 for Natus Vincere. During map selection, NaVi had a choice to choose between Nuke and Overpass and they logically picked their best map, Overpass. ENCE played solidly in the first half, but then fell behind at the beginning of the second half. NaVi quickly earned match point and ENCE managed just to prolong the duel a little bit. However, the fourth best team in the world knocked out Fiennes with ending result 16-11. In the match between Fnatic and North, we witnessed two one-sided legs. After losing the opening three rounds on Mirage, Fnatic dominated North in the rest of the leg. Fnatic allowed North to win just another three rounds on Mirage. The second leg took place on Nuke. Interestingly, North picked Nuke despite Fnatic’s high win rate on that map. However, it turned out to be a good decision even though Fnatic was leading 9-6 on half-time. North showed us that Nuke favors CT side as they lost just one round after sides switched. The last map was Inferno – Fnatic’s best map. The Swedes demonstrated their power on Inferno and they demolished North. The Danish team was able to barely clinch one round throughout the whole leg. So, Fnatic prevailed in the match and proceeded to the Semi-final. 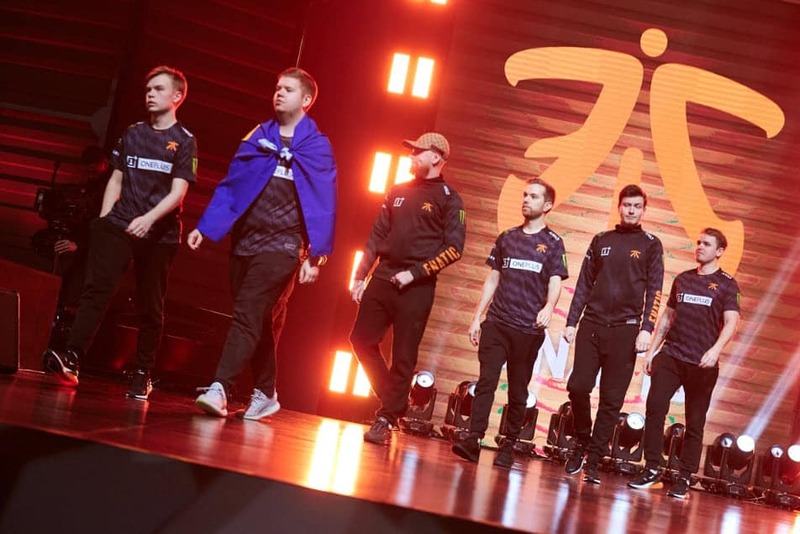 They were joined by NRG and Renegades who defeated Team Vitality and NiP. Renegades overcame legendary Swedish team after beating them on Mirage (16-11) and Dust 2 (16-5). Jkaem had an extraordinary performance recording 46 frags and 102 Damage per round, which is really good for two legs versus NiP. On the other side, NRG Esports had to dig so deep to eliminate Team Vitality. The first leg went into third Overtime and NRG came out as the stronger team ending the first map with result 25-23. The second map (Mirage) was less intense as the American team was quite dominant after side-switch. The scoreline was 16-11 in their favor. In the first Semi-final, we witnessed two very tight legs. The match has been interesting from the very beginning when team captains had to choose maps. Although both teams are very good on Inferno, neither picked that map. On the contrary, Fnatic picked Cache and NRG chose Overpass. Fnatic and NRG were neck and neck on Cache as no one had a big advantage at any point of the game. Truly, NRG secured the first half with result 9-6, but Fnatic quickly caught up. The crucial moment of the match could be the 28th round when Twist won an incredible 1v2 AWP clutch to earn two map points for Fnatic. However, NRG saved both map points to take the game to Overtime. The Swedish team eventually prevailed and ended the first map with scoreline 19-17. The second map wasn’t so much different. Moreover, it looked like Fnatic and NRG just replayed the same leg on a different map. We saw longer winning streaks. But, the teams played the game in the same manner. NRG won the first half 9-6, and then Fnatic tied the result. The only difference was that Fnatic had to save map point this time, which they managed to do. Later, they repeated the same thing in Overtime to clinch Overpass as well and reach the Grand Final. It was a great result by Fnatic as they had a tough period recently and Swedes just needed one good event that is able to turn things around. This could definitely be that kind of tournament. In the other Semi-final, Natus Vincere met the Australian team, Renegades. Zeus and co. kicked off the Semi-final in a great manner, destroying the Aussies on their own pick, Inferno. The key round was probably the 6th round when s1mple took three frags to deny Renegades’ A site attack. After that round, Renegades barely clinched just one more round up to the end of the match. Although losing your own map pick is a kind of blunder, Renegades succeeded in punching back on NaVi’s map pick, Mirage. On that map, both teams were winning rounds in a row. Unfortunately for NaVi, Renegades’ winning streaks lasted longer than winning streaks of the Ukrainian team. Therefore, the Australian team secured Mirage setting the ending score on 16-8. The map of the decision was Train, the second worst map of the Australian team. This fact manifested itself in the game. Renegades was helpless and Natus Vincere dominated them conceding only four rounds. 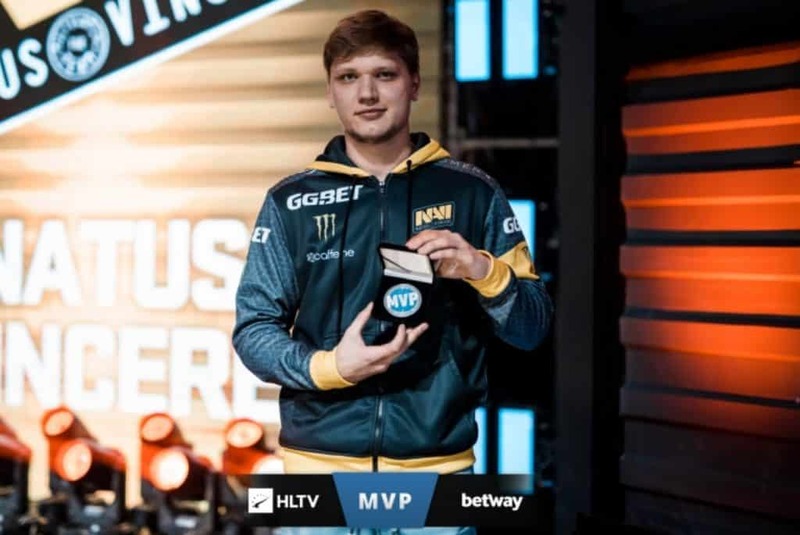 The man of the match was undoubtedly s1mple who had 72 frags and 115 ADR in total. His overall rating was 1.71, which proves that he completely deserved the title of the best player of 2018. As the Grand Final is the Best of 5 match, Fnatic and NaVi banned Train and Cache. However, the map order was still important as both teams wanted to play on their maps first. This would give them a chance to prevent the game from going to the map of the decision. The first map was Fnatic’s pick (Mirage). The Swedes won the first half with minimal advantage, but it wasn’t sufficient to secure the first map. NaVi won the opening six rounds of the second half, so Fnatic fell behind. Although they tried to come back, their efforts were in vain. Zeus and company put the game to bed and won the first map. It must be said that Fnatic’s decision to choose Mirage was pretty illogical as that is one of the best NaVi’s maps. The second map was NaVi’s pick (Dust 2). Their pick makes sense as they have slightly better statistics on Dust 2 than Fnatic, which turned out to have an impact on the final outcome. Also Read: Cocky? Gla1ve Dabs As Astralis Beats Team Liquid. The second leg was similar to the first one. Fnatic had a minimal advantage on the half-time, but they eventually fell behind. JW’s great plays with his AWP, including the one in the 20th round when he had a quad-kill, weren’t enough to help his team to beat NaVi. NaVi had a chance to finish off Fnatic on their best map, Inferno. Considering that NaVi doesn’t have such a great result on Inferno, it was likely that we were going to watch two teams fighting on the fourth map, Nuke. But it didn’t happen. The Swedish team won the first half with the identical score for the third time (8-7). However, in the 14th round, NaVi began their 9 rounds winning streak to leave Fnatic behind. In the second half, Fnatic won just two rounds on CT side. In the last round, flamie defended the planted bomb on A site killing Twist to finish the Grand Final in a victorious manner without losing a single map. NaVi defeated Fnatic 3-0 (16-13, 16-11, 16-10) to win StarSeries & i-League Season 7 title and $250,000. The fact that NaVi defeated Fnatic on Inferno tells us a lot about their current form. In spite of losing the final to NaVi, this was a great tournament for Fnatic. They didn’t play a big final since WESG 2017 in March last year when they won the title. Also, they failed miserably at IEM Katowice, after losing to teams like Winstrike and ViCi Gaming. They took $80,000 home and this result will definitely have a big impact on their ranking.